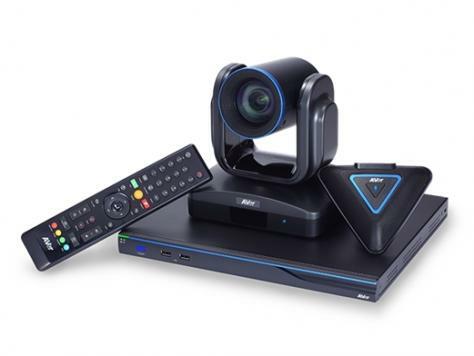 evc950 - QCTEK CO., LTD.
AVer’s EVC950 is the perfect video conferencing solution for large conference rooms and auditoriums. 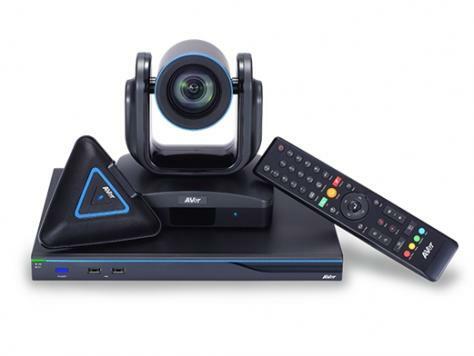 It provides a cost-effective way for businesses to connect up to 10 sites and enjoy full HD video and content sharing, offering an unbeatable return on investment. Users can connect to EVC950 calls from PCs, laptops, tablets and mobile phones via AVer’s EZMeetup software. Moreover, by using the EVC950 with AVer’s EZDraw collaborative annotation app users can access to an impressive array of interactive tools. The EVC950 is simple to set up, easy to operate and offers great interoperability across all brands. The EVC950 supports conferencing between up to 10 different locations at full HD 1080p resolution. This cost-effective embedded MCU provides smooth video streaming and is ideal for businesses that need high quality communication between multiple locations. +90°/-25° tilt, quick auto-focus and clear close-ups of participants, making it ideal for large conference rooms. more natural by clearly showing who has the floor and ensuring participants do not inadvertently interrupt each other. regardless of whether the EVC950 is connected or offline, making keeping records of conferences supremely simple. Recorded conferences can be played back using an EVC950, or on PCs or laptops using AVer’s VCPlayer software. solution for improving the flow of discussions and achieving better mutual understanding. conferences with smooth video and clear audio no matter where they are.